Schneit es monentan in Ebensee am Traunsee ?Vielen Dank! The Feuerkogel cable car which runs to 1600 metres altitude, right up into the middle of the adventure mountain village, provides very good accessibility from Ebensee am Traunsee. 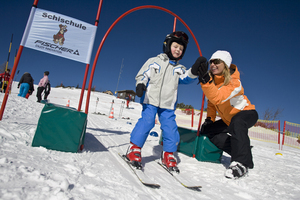 For leisure-focused winter athletes, beginners and families the little ski circus on the high plateau, which has nine lifts and the best prepared pistes, provides safe fun in the snow. Tourers and snow-shoe hikers hold this most beautiful plateau in high regard as a starting point for tours of all difficulty levels, while ambitious winter athletes will find their own special challenge in the six kilometre unprepared descent into the valley. 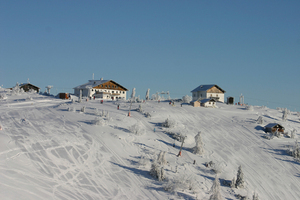 Winter enthusiasts who would like to see the Feuerkogel in a different light can do just that on a snow-shoe or torch-lit hike, on a ski tour, a sled ride or on the popular night-time ski run. Ebensee am Traunsee is a great ski area for intermediates for a day trip. 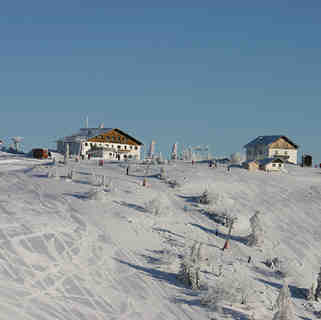 The ski pass for Dachstein West can be used here which is great. They have invested heavily in a new cable car and a couple of 6 seater lifts. The views of the Traunsee and surrounding area are fantastic. 2-3 good red runs including a steep red (almost a black). Local restaurant has very good food and value.